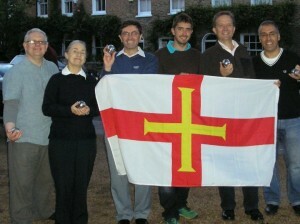 We will be holding our second annual Boules Muratti against the Jersey Society in Cleaver Square on 21 June 2012. Last year there was a friendly atmosphere, with refreshments during the match provided by the Prince of Wales pub. We are hoping to field a strong team, to maintain the excellent track record set with last year’s triumph. Members and prospective new members welcome. The fun will start at 6:30pm until about 9pm, followed by a curry to celebrate or commiserate.